Enamel is the hard, visible portion of your teeth. It is made up of minerals, water and other organic substances. A very common dental health problem is the decay of tooth enamel. Sugar is the main cause for tooth decay. Along with good dental hygiene at home, avoidance of foods and drinks that are high in sugar, and regular trips to the dentist, here are some other things you can try to repair your tooth enamel. Brush your teeth with warm water and sea salt. The sea salt will sooth and heal your teeth and gums. It can also help reverse the sensitivity you may have felt due to the decay. Brushing with sea salt twice a day will give you results in just a couple of days. Make sure you are receiving your daily recommended doses of vitamins and minerals. 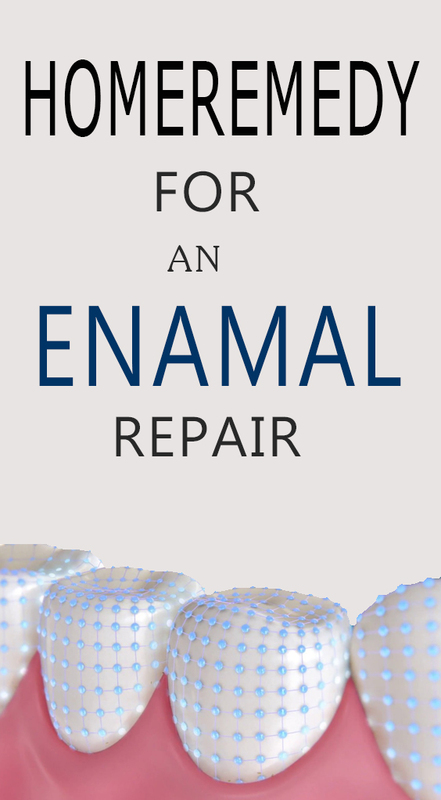 The enamel is made up of minerals, and a deficiency in your body can be a major factor in its decay. Bonemeal, a mixture of coarsely ground bones, was once prescribed as a supplement to treat tooth decay. It can be made with lead and other toxic materials that would be hazardous to your health, so be aware if going this route. Bentonite clay, a natural clay which is often used for detoxification, can also be used. Combine bentonite clay and activated charcoal. Mix them with water making a paste, and cover your tooth. This technique has been known to save teeth from being extracted and bring them back to health. Prevention is the key when it comes to tooth decay. You can turn the health of your teeth around by starting a regular dental-care regimen. The bare minimum is to brush and floss twice a day. Brushing with fluoride toothpaste is highly recommended, as fluoride is a mineral that can help replace those that have been lost in your tooth enamel while it prevents decay. Do not grind your teeth or chew ice or other very hard foods. This will slowly break down the hard tooth enamel. Avoid drinking sodas and juices that are high in sugar or acid. If you do drink them, use a straw or do not let them swish around in your mouth before swallowing. Rinse with water after eating or drinking. This way you will wash residue away before it has a chance to do any damage.